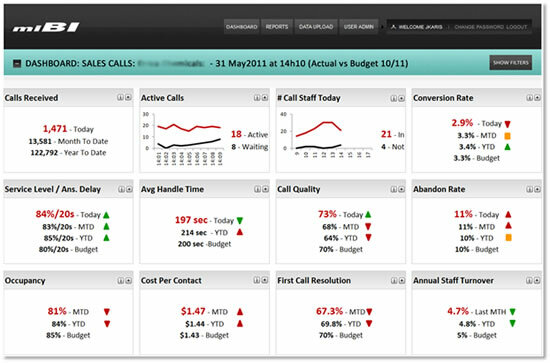 Real time tracking of these 12 key sales/calls indicators result in improved customer satisfaction, improved service adherence and increased productivity by empowering managers to act on instantaneous information. Problems can be addressed as they occur and managers can reallocate staff to functions that improve efficiency and in response to areas of demand. The dashboard can be filtered by company, department, date/time and budget comparison version.